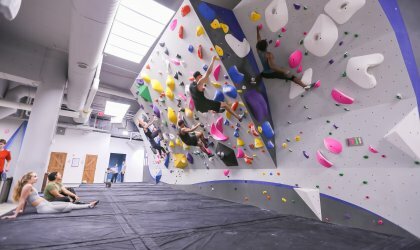 Bouldering is climbing on shorter walls with more dynamic movements and is a great way to experience rock climbing without a need for prior experience. Come in and our staff will guide you on the basics of bouldering safely and effectively. 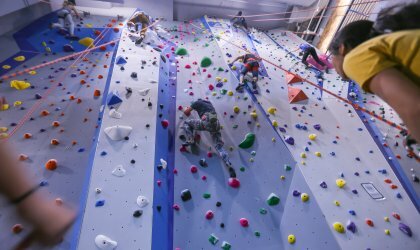 This program allows you and your family to climb on our 40′ tall walls without having to learn knots or rope skills! 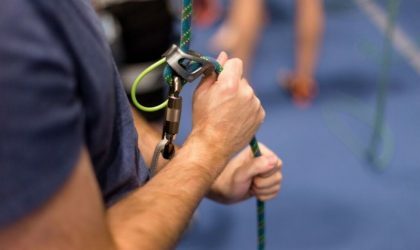 Our staff will get you situated with all the climbing gear you and everyone in your party will need, and will ensure everyone has a fun, safe experience.